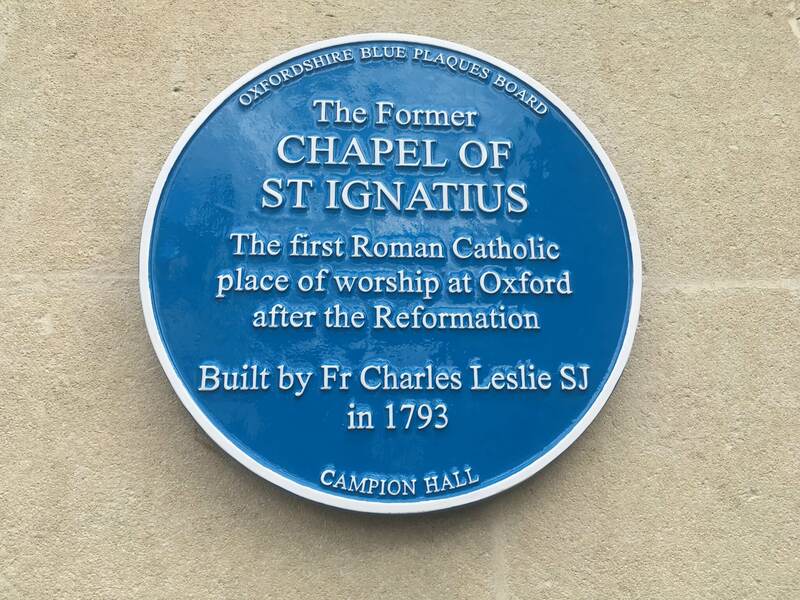 The chapel of St Ignatius was the first Catholic church built in Oxford after the Reformation. The builder was Fr Charles Leslie, a younger son of Patrick, 21st Baron of Balaquhain. 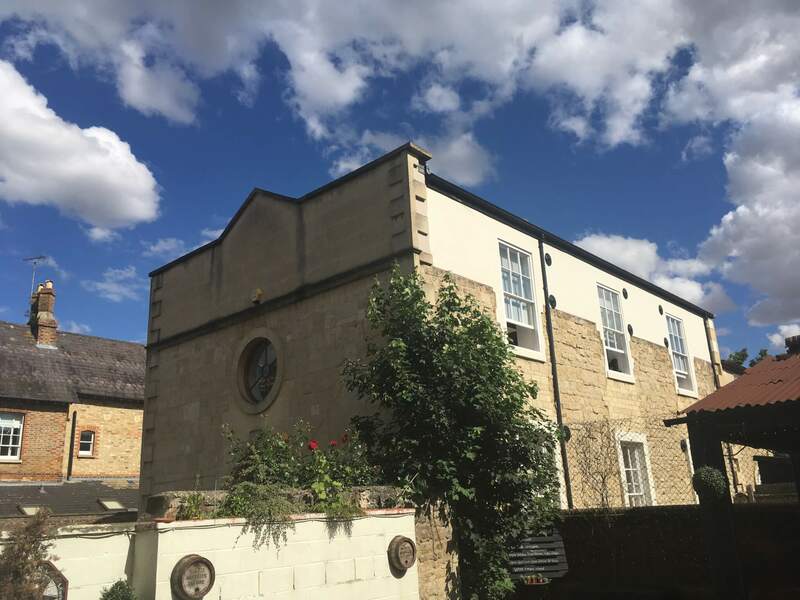 He had joined the Society of Jesus, and on its suppression in 1773 continued to work as a priest under the Vicars Apostolic. In 1792 Fr Leslie moved to Oxford and bought a house, using one room as a chapel (the 1792 Quarter Sesssions register "a chapel situate in the parish of Saint Clements in the Suburbs of the City of Oxford in the possession of Charles Leslie, Priest, recorded as a place for the religious worship of Roman Catholicks"). 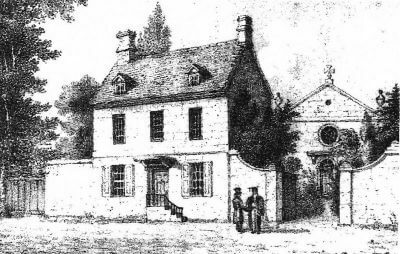 The following year the existing building was constructed in the grounds of his house, set well back from the road, as anti-Catholic sentiment was still strong, despite the passing of the 1791 Catholic Relief Act. 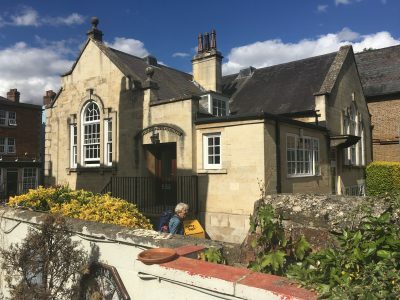 When St Aloysius' Church was built in 1875, St Ignatius' became a Chapel of Ease, until 1911 when the church of SS Edmund & Frideswide (now Greyfriars) was built and became a separate parish. 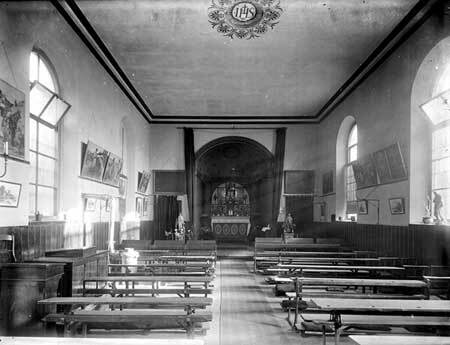 The St Ignatius' buildings were then used exclusively by St Aloysius' School. 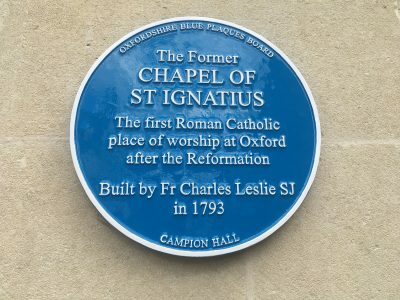 The Chapel of St Ignatius, though small, has a distinguished history, being the place where Blessed John Henry Newman went to Mass in his early days as a Catholic in 1845. 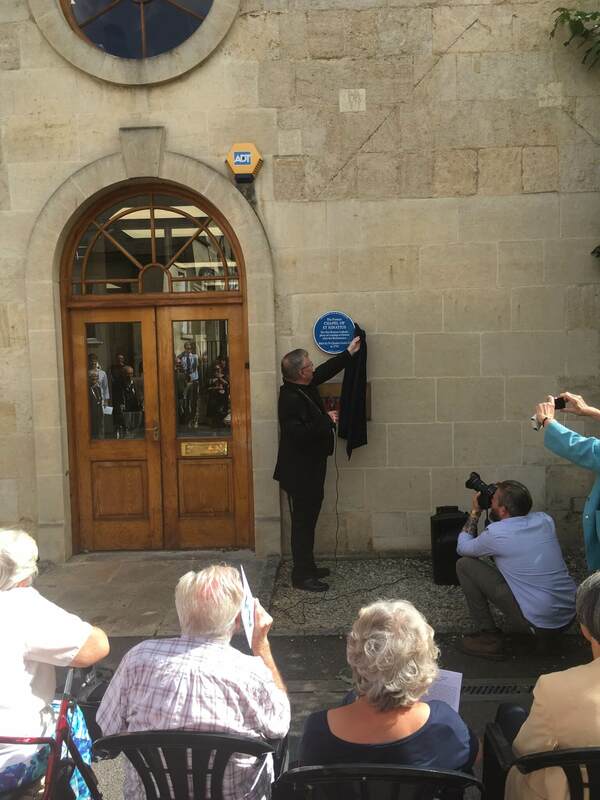 Today being the feast of St Ignatius Loyola, founder of the Society of Jesus, it was a good day for a Blue Plaque to be unveiled, 225 years after Fr Leslie built his chapel. 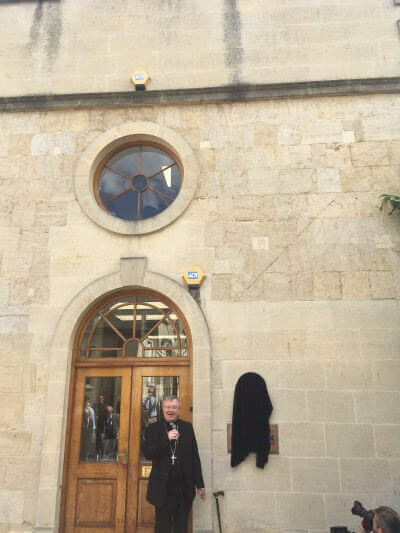 Fr Joseph Munitiz SJ spoke about how Fr Gerard Manley Hopkins, curate at St Aloysius', celebrated Mass and preached in the chapel, and Sr Marie Anne from St Joseph's School described how Fr Hopkins would come to instruct the children.